There’s a terrible new trend sweeping the nation’s youth, and unfortunately it’s only gaining momentum. If you haven’t heard about it yet, your son or daughter certainly has: Teens across the nation are knocking out all of their teeth in order to look how they imagine Emma Stone will look in 75 years. The dangerous fad is called “The Future Stone Challenge.” Since it began trending on Twitter and Instagram in January, parents everywhere have been blindsided by their kids going to the back of the house and using garden implements to knock out all of their teeth and take a picture of it—all to match the coveted thin-haired, toothless look of Emma Stone in 2090. Yikes. 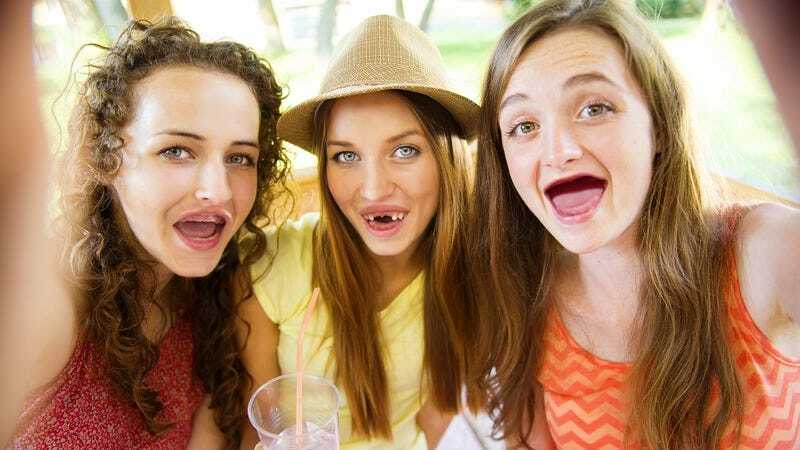 Someone needs to talk to these kids immediately, before an entire generation loses its teeth in an attempt to imitate the mouth of distant-future Emma Stone. We have to get the word out to these kids: Looking a little more like a future version of your favorite celeb is not worth spending a whole lifetime toothless!